Last week I (finally) discovered the oh so anticipated new building of the Tate Modern, which opened to the public on June 17. Under the slogan “Art Changes We Change”, the museum managed its transformation very successfully and convinced the skeptics of the need for an extension in order to reach this ideal of an ultimate contemporary museum. A space not only dedicated to art, but a place for education, creation, talks, meeting, and meditation. I always say that I go to museums like others go to church, my relationship with art must be sacred on some level, and I personally find art and culture in general quiet cathartic. The Switch House was build like a modern cathedral made with bricks and concrete, do not worry there are no stained glass but high windows that work as skylights. I’m confident in the idea that the Tate understood that the museum needs to provide social spaces in order to attract younger audiences and to transform the museum into un lieu de vie with whom we can connect and relate to. 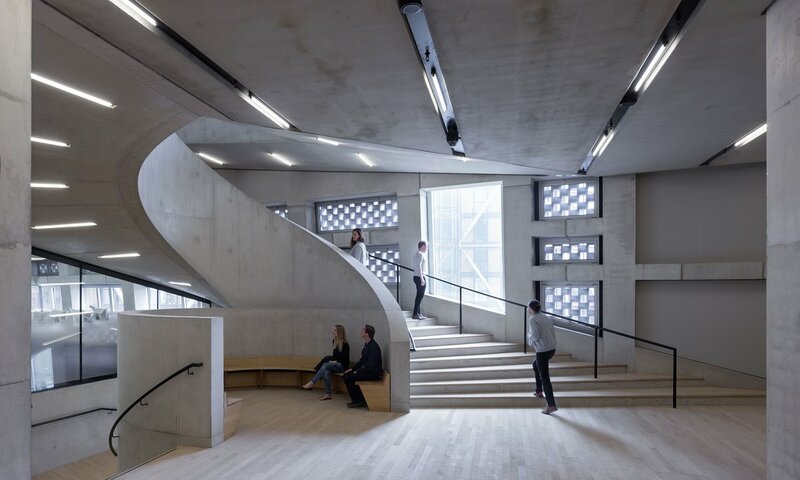 Tate, by incorporating live performances, by pushing the boundaries of architecture and design, by contributing to showing more female artists, and by integrating some digital culture inside the museum, is setting the foundation of a new museum model. 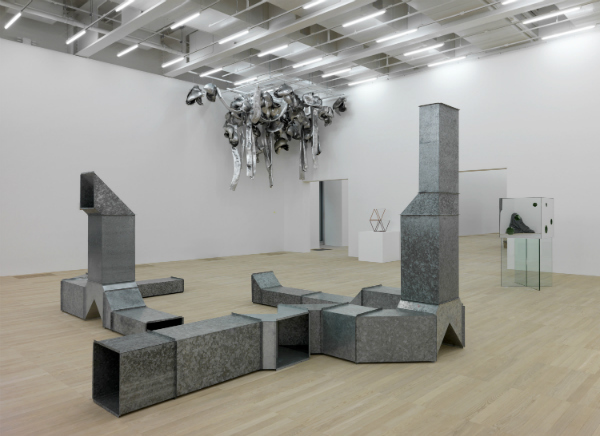 In case you needed an excuse to go see the New Tate Modern, here are three reasons why you absolutely have to cross the Millennium Bridge and go visit one of the best contemporary art museum in the world. “We wanted to create the kind of public spaces you find in nature, where you sit under a tree or on a rock,”said Jacques Herzog to The Guardian. Sixteen years after the inauguration of the Tate Modern in the old Bankside power station, the Swiss architects were back on site to work on Tate’s new extension. The Switch House is not another “starchitecture” museum building, but an impressive brick pyramidal structure, with a quiet pure and minimal concrete and wood interior. The extension, which is linked to the main building by a bridge overlooking the Turbine Hall, increases the size of Tate Modern by 60%. Which means more galleries, but also more spaces dedicated to the visitors as well as to artists and education. The lighting, the lines, the curves of the staircases, everything is a design dream. “The whole raison d’être of the Switch House,” explains Tate Modern’s director, Frances Morris to the Standard , “is to look at the point since the Sixties [onwards] when art became active and artists began to ask more of their audiences.” The display at the Tate is different that what we are used to see in other museums. There is no preset path, the visitor is free to create her/his own art tour. No more glass windows in front of the works, barely any barriers between you and the art, each room is presenting works under a thematic (such as “Between Object and Architecture”), which is in my opinion much more interesting than the usual presentation by artist or by period. Art performances and audience participation are also very present in the Switch House, which encourage people to interact with the art. Their approach shows that art isn’t static , and that the museum can be (should be?) rethink in order to bee in line with our society and our new generations’s expectations. “There is a commitment now to show the real history of art and the contribution made by many women who have been overlooked for many reasons.” Explained Frances Morris to Dazed & Confused. As the first ever woman director of the Tate Modern, Morris made a point of increasing the visibility of woman artist in their collections. She mentioned to BBC that when they launched the Tate Modern in 2000, only 17% of the art was made by woman despite their important contributions. I used to always find strange how difficult it was for most of people to name at least ten major woman artists, but through the years and after spending so much time in galleries and museums it made total sense as woman are so underrepresented despite the quality of their practices. From now on, 50% of the solo rooms will be presenting work by woman, and I must say that Louise Bourgeois room was without any doubt the highlight of my visit. They are obviously many more reasons to go visit the new Tate, but those ones were the most important to me. As usual don’t forget to join me on Instagram (the_bubblist), on Facebook, and on Snapchat (thebubblistarty) to get daily artsy/lifestyle updates. I’m happy that Tate is pointing out the misrepresentation of women inside museums and galleries. I hope that other major institutions like them will follow. Great article Eva. Thank you! Yesterday I was at the Serpentine to see Etel Adnan show and I couldn’t believe I didn’t hear about this major artist before, simply because it takes years before an institution highlights their work. I”m glad to see more women artists ok n art galleries and museums but most of them are quiet at the end if their careers which is good but would be great to see younger ones too. Well Well Well, I was waiting for that post. I agree with you on many points, I just found the space quiet empty still, what do you think? Il est temps que Bruxelles se bouge à ce niveau là.Quand on plus on sait que l’entrée à la Tate est gratuite et qu’on voit ce qu’ils nous demandent aux musées des beaux art c’est triste. Complètement d’accord, ça fait tellement d’années qu’ils en parlent…et la culture à Bruxelles n’est souvent pas très démocratique en effet. I really really liked my visite too, despite the crowd I did not feel like I couldn’t move around. I’m a big fan of the new space and totally support the choices that Tate made in terms of curating . Good reading!